What color for my '98 superhawk? The bike I bought is a dark metalic blue. Paint isn't original and although I -kinda- like the color, I have to repaint it (scratched to hell). What color should I go with? I sort of like the look of the yellow ones. I'd imagine yellow is easy to see which might help it stand out on the street. The gastank on this bike has 8 layers of paint on it! Primer/yellow/primer/red/primer/silver/primer/blue. Did I mention the primer? I like the looks of this but without the rear hugger. Opinions? Yellow. It's the best color! 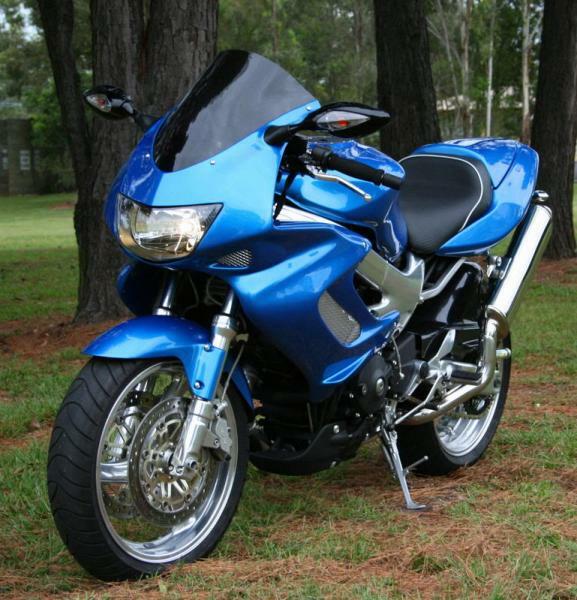 Stick with the dark metallic blue (I am biased, of course, as it is the colour of my VTR). It is aesthetically pleasing, relatively rare and,perhaps most importantly, is relatively discreet (ie. does not attract attention of police). 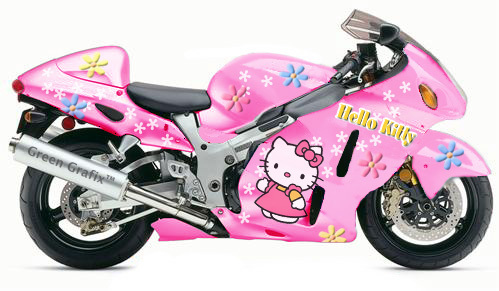 The bikes that have yellow front plastics but black tank/tail/fenders look really cool to me. ahhhhh come on,yellow,you know this,its not even a argument. The guy I share my shop with used to be a body man and has a nice little gun to shoot quality paint. I can do a single-stage yellow and wet-sand/buff to a shine or multi-stage w/ clear. Being that yellow is a bright color, I may go single stage to save time and money. Do I really need clear coat on top of yellow? It doesn't reflect much. Single-stage will also be easier to fix if it gets scratched. Opinions? This isn't a show bike. It just needs to look uniform. This is an example of an overkill gloss coat that I DON'T want to happen. (sorry to the owner) It's just too much. Last edited by kickerfox; 05-29-2012 at 03:28 AM. If I do that I'll never see it again. The gf will steal it. Looks like everything on that blue one is clear coated. I'd be afraid to get it dirty. So far it's tied between red and yellow. Since both my friends have red ones I guess I'll go yellow to be different. I have to fix some chips and defects in the old fairings anyways so I shot on some krylon yellow just to see how it looks in person. I like it. Into the sandblaster is goes. candy blue the only way to go!!!!!!!!!!!!!!!! I believe Enzo Ferarri designed the Superhawk just to make the Ducatista feel bad and naturally painted it the only color it can ever be comfortable with. Red. Now do the right thing. 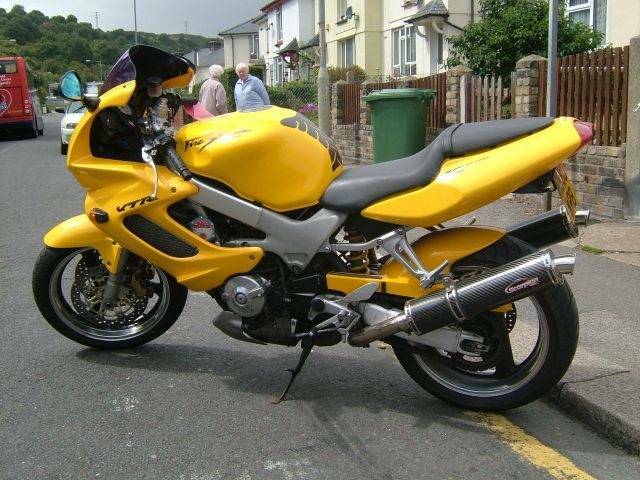 Whatever you like or dislike, yellow is highly visible, makes it easier for cagers to see you. My mate on his K5 GSXR says whenever he looks in his mirrors he can always see me!! I have a blue 03 and previously owned a 00 yellow SH. I liked them both but think the titanium is the best looking SH made! And I'm on it everytime it moves...? OMG! Last edited by firehawk; 06-07-2012 at 02:06 AM. Quick Reply: What color for my '98 superhawk?